Learn words! is better than ever – and we couldn’t have done it without you! It has been an exciting journey to get where we are today. 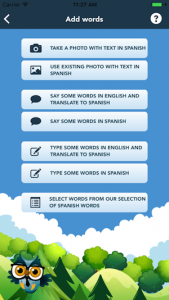 At Linguineo, our goal is to make learning a language as effective and easy as possible, so we launched our Learn Words! 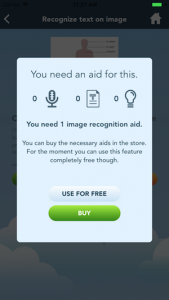 app in December 2016 as a supplement to Linguineo’s suite of products. Even though the launch was quite successful, there’s always room for improvement, so after the release of Learn words!, we asked more than 40 language teachers to give us feedback on the app. One of the first things they said was that they needed to be able to share word lists with their students. We agree that sharing lists is important, so that was one of the first things we changed in our upgrade. Sharing lists is now one of many new and useful features in the app. If you would like to see how to share a list, see a quick video tutorial here. We received many useful suggestions, and agreed that if three or more teachers made the same suggestion, we needed to make those suggestions part of the upgrade. The new and improved version of Learn Words! is now live and available at the app store. We think it is important that people can see how we are improving the app, so below is a list of the most common suggestions, and our solutions. 1. Users felt they had to pay for everything – this was never our intention! Challenge: Most features in Learn words! are completely free, but to pay for the running costs of our servers we do have to charge the heavy users. Unfortunately, this principle of “pay only if you use it a lot” was not properly reflected in the app. Beginner users were constantly confronted with the ‘unlock content’ dialog, although it was usually for the “Use for free” option. Despite this, users felt like we were asking them to pay for each feature and they were understandably getting frustrated. Solution: Now, when a user is able to access a free feature, this dialog is no longer displayed. We also increased the usage threshold that applies to heavy users by a factor of 4, so people can use the app for free quite a bit longer. In addition to reducing the number of times users encounter the ‘pay for content’ dialog, and raising the frequent user threshold, we have also bundled all permanent upgrades into one package (they were 3 separate upgrades before). Challenge: Although we tried to make creating a word list from an image as easy as possible in the initial release, users who weren’t very tech-savvy found the process too complicated. 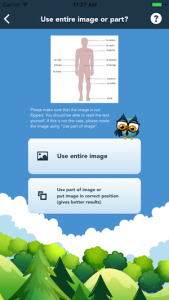 Solution: For each image scan, a user had to indicate whether to use the entire image or only part of it. With our upgrade, it is assumed that the entire image will be used – which will be sufficient in most cases. Users still have the option of cropping the image, but they don’t have to actively decide not to crop with every image upload. We also disabled the default offline image recognition. Offline recognition was only working well in 10% of the cases and although the app clearly indicated that “in general offline recognition produces low quality results” this was still confusing for our users. Many thought the text could not be recognized at all, but server recognition would have worked in these cases. 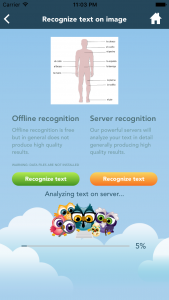 Automatic recognition mode is a brand new feature! Before, users had to manually process the recognized text. Although this was easy to do since there were already some context-aware macros available that could remove all duplicates or punctuation with one touch, the process was still confusing. In the new automatic mode the app analyses the recognized text and decides itself which of these macros to execute to get a word list. Now, users can skip this “text processing screen” altogether. Lastly, the app was not retrieving translations automatically once the recognized text was converted to a list of words even though every user wants these translations. 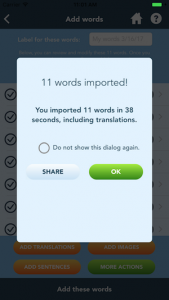 The app will now automatically retrieve the translations. The result is that a user now really only needs to select an image, press “Recognize text” and then decide to add the entire word list with translations or not, which is a much simpler flow. 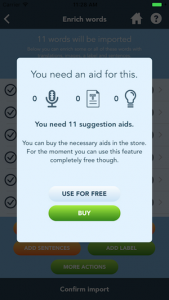 Challenge: Before the upgrade, users had 7 choices when adding words. Solution: We have reduced this to 5 clearer options, postponing certain decisions to later in the flow. Previously, users had to choose Learn, Exercise or Play, when doing an exercise. Depending on their selection, 10 more options appeared for the exercise type. Now, users only press the Exercise button, and then select one of 5 options. The additional configuration options are still there, but there are no forced selections, and users can begin their exercises right away, using the defaults. Challenge: A remark many teachers made was that they wanted to give a label to their word list, but they could not see how to do it. Although this was already possible, the feature was hard to identify. When adding words, the app did not explicitly ask for a label for the newly added words. The option was there – “Add label” – but most people did not use it. As a result, they were importing words without a label attached to them and had no way to group the imported words again later. Solution: Now, with each imported list, the app explicitly asks for a label. If a user does not enter one, the app will add one. In addition, the label is now always shown in the “my words” section. Teachers did not request that we make it possible for users to upload public lists, but two users asked us how other users could load a public list they created. The option to set a list as “public” was already there, but there was no way to retrieve a list of public lists. Now, this option is available. Overall, we have dramatically improved the user experience. In addition to the more noticeable upgrades above, we have also made some smaller improvements because all feedback is important to us and we carefully consider every suggestion. Improved user friendliness of the speech exercise. After recording you had to press “stop recording” and then “answer” – you can do this now in one action. Easier to amend mistakes in the server suggestions. New option to select all words without a label. Before the upgrade, it was only possible to either select all the words or all the words from a specific label. If you wanted to select all words without a label (to assign a label to them for example) you had to select each word manually. Attach pictures from your image library to a word without being logged in. Before, this feature was only available to users who were logged in to their Linguineo account. More appropriate example sentences. Suggested sentences were often too advanced for students. By default, simpler sentences are suggested now. We are continually working to improve the functionality and content of the Learn Words! app, but some changes take more time than others. Stay tuned for updates on improved audio and some fun, new games! Many teachers took time out of their busy schedules to provide us with these comments and suggestions, and we offer them all our sincerest thanks. We are very happy with the results of this teacher consulting round and hope everyone will like the changes! This entry was posted in News and tagged Learn words!, Teachers on March 18, 2017 by Steffen. 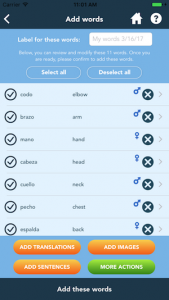 The first apps we ever developed at Linguineo contain an entire language course at the touch of a few buttons. 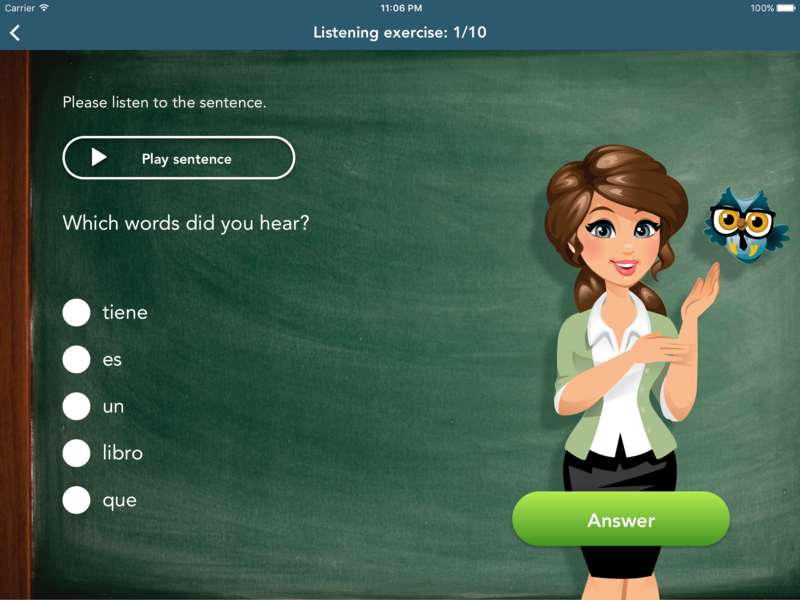 While the convenience of having foreign language lessons on the go means that our users can practice anywhere at anytime, they do not allow you to pick the content you want to practice. 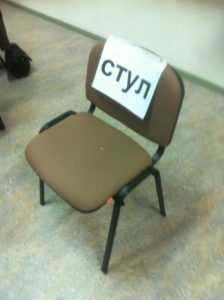 A photo I made at the end of my first Russian class. Not long ago, I enrolled in another language course in Leuven, Belgium. To learn Russian this time. Our Russian Class app helped me practice verb conjugations and research grammar rules whenever curiosity struck. The image and listening exercises helped to familiarize me with the language even more. 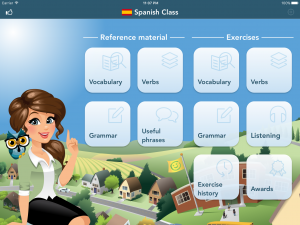 But I still found myself struggling to incorporate the app into my daily language learning routine because the app’s content didn’t always align with my formal coursework. Exam prep was, therefore, always tedious and non-interactive which can be quite demotivating for language learners. An early wireframe of the full blown course app that we didn’t end up developing.. this time. 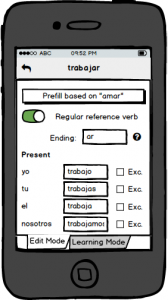 Our first idea was a very simple one: build an app in which students can define their entire language course. 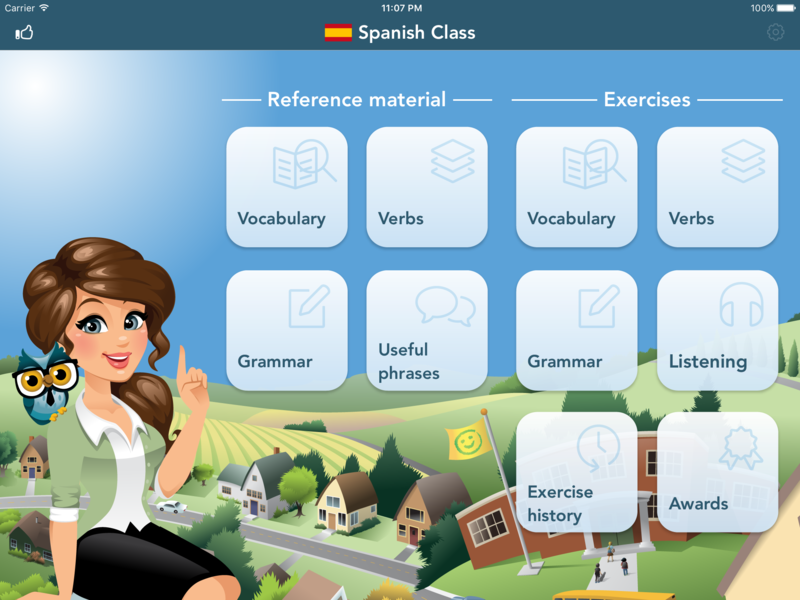 By entering all words, verbs, grammar and phrases, the users end up with a language class app of their own, perfectly suited to their needs. It was a promising idea, but we realized almost immediately that no user would ever want to type every word from a course book into an app. The app’s success would depend on its ease of import, so we decided to focus on that. Instead of creating a full-blown course app in which users enter the course’s entire content, we would start with creating an app that did one thing very well. 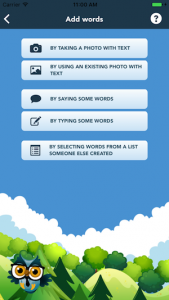 It would quickly create word lists that contain only the words the students want to learn. So that is what we made. The text on the image is being recognized. 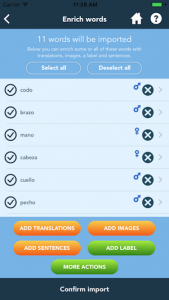 Our new app is able to take photos of real-world material, recognise the words in these photos, and then add translations and images (as memorisation aids) for each word all without having to rely on manual entry. We also added another long-awaited feature for our course apps: learn mode. By leveraging the characteristics of short and long term memory, the app helps the user memorise his or her customised vocabulary list. You can expect this new feature to appear in our old course apps over the course of next year. 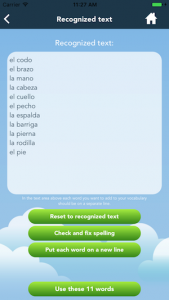 We firmly believe that our resulting Learn Words app is perfect for learning only the words you want to learn. After creating your vocab list, you can begin learning the words in your list efficiently thanks to the help of various interactive exercises, and you can easily track your progress towards your language goals. Learn Words is already available on iOS, and we are currently working on the Android and desktop versions which are set to be released in the beginning of 2017. This entry was posted in News and tagged Launch, Learn words!, News, Vocabulary on December 1, 2016 by Steffen. The past couple of months we released a few updates to our language applications to celebrate their 5 year anniversary. We restructured the courses. We split all courses into 10 lessons instead of 5, we added labels for the useful phrases and we split the huge category “3000 Common Words” into different categories. 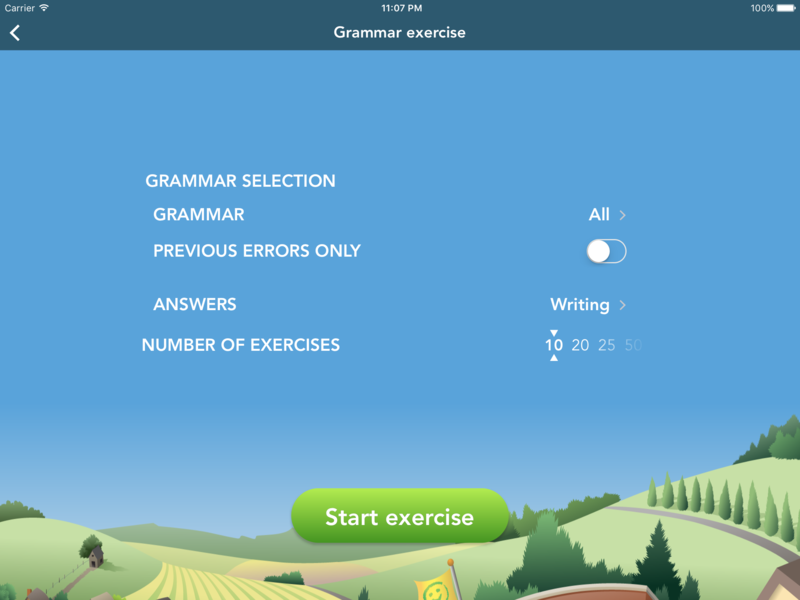 We also added the long awaited “writing” exercise mode to the word, verb and grammar exercises, which certainly improves the exercises on reproduction a lot. 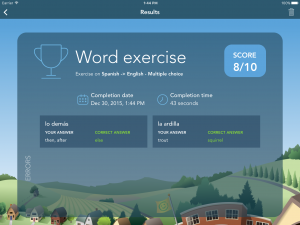 We added a “learning mode” to the vocabulary, which makes studying the words in the vocabulary easier. Since many of our users were asking for more image exercises, we also brought the number of images from 250 to 500. We introduced Helena and Aito, her owl, who both will be making more appearances in the upcoming year. And we redesigned the screens for tablets which historically were not looking as good as the smartphone designs and are pretty happy with the results. We hope everyone is enjoying these updates and wish everyone a good end of 2015 and an even better 2016! You can read more about our full course apps here. This entry was posted in News and tagged Full course apps, News on December 30, 2015 by Steffen.